We are all born curious. Ready to explore the world with open hearts and open minds. We want to know. A Curious Mind by Brian Grazer, acclaimed movie producer and one of Time Magazine’s 100 Most Influential People in the World, chronicles the conversations Grazer has had over the course of 30+ years with world leaders, scientific experts, artists, and great minds from all walks of life — in what he calls “curiosity conversations.” More so, the book is about the impulse of curiosity, its merit as a way of viewing the world, and the journey of a man’s life being led by that impulse. Grazer is a proponent of curiosity—noting it is initially intrinsic and is often over time squelched by society. 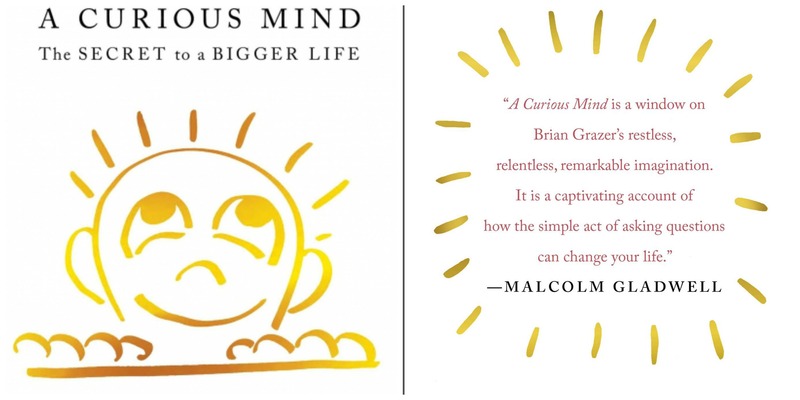 In extolling curiosity, Grazer proposes reigniting, cultivating and harnessing our innate curiosity in order to make it powerfully productive, to inhabit curiosity as an approach to life—a life that is richer as a result. “Curiosity is a more exciting way to live in the world. It is, truly, the secret to living a bigger life,” he says. How? Start by treating questions as valuable. Expect to be surprised by the answers to those questions. Curiosity is a tool of discovery. Curiosity inspires creativity. Curiosity along with determination leads to innovation. We at The Curiosity Workshop, like Grazer, know curiosity to be a way of life. An inquisitive lens for viewing the world. We’re all in for the big why.